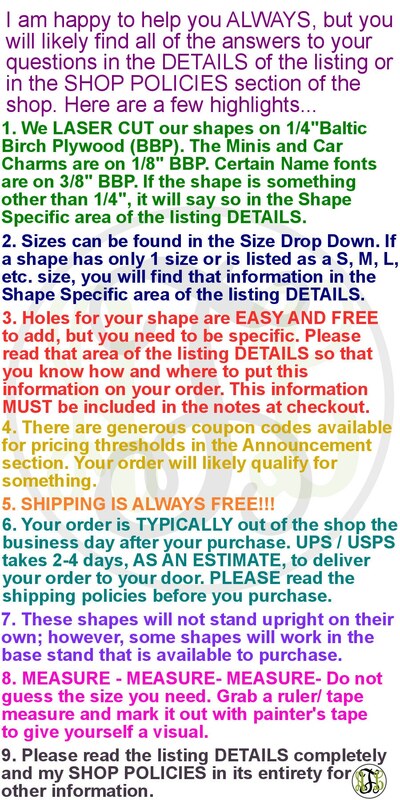 This listing is for Bulk Mini-Sized Shapes Options...2" to 6" with Quantities 5, 10, 25, 50, and 100 for selected sizes. 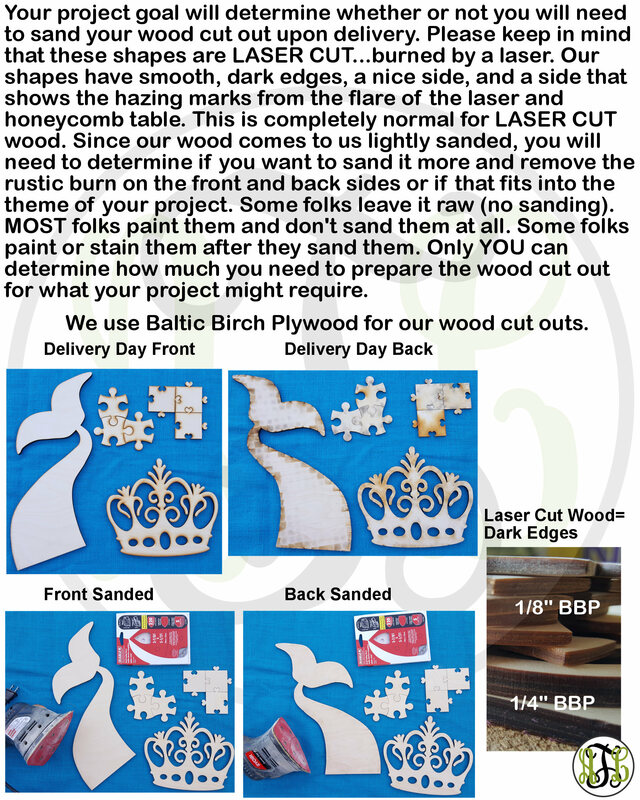 They will be cut on 1/8" Baltic Birch. Dimensions and Quantities for each size are located in the ‘Size’ drop down option where you will also find multiple bulk quantity choices for each size. 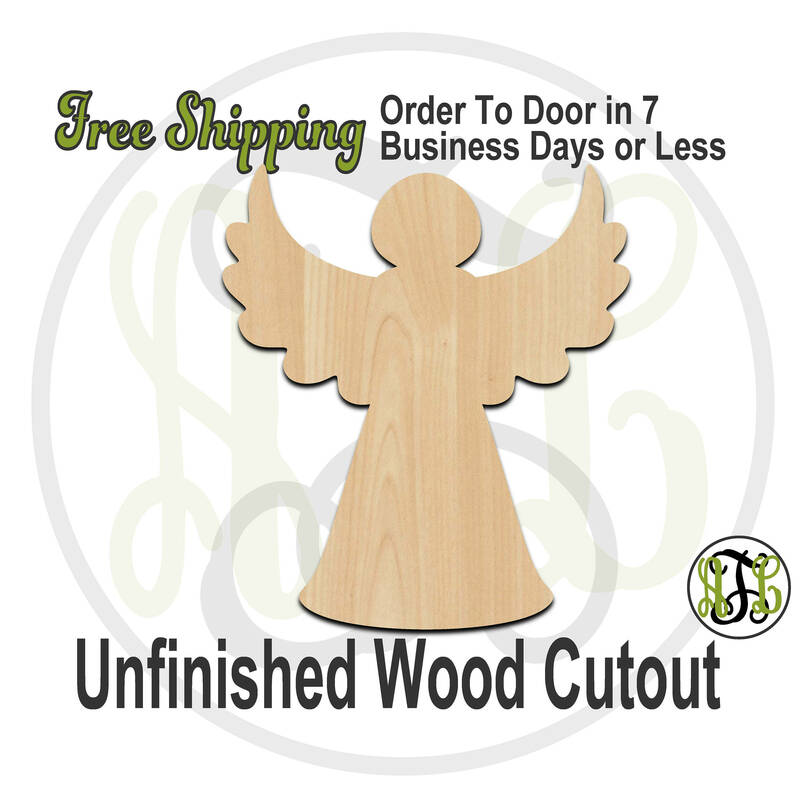 If you need a size larger than 18", please submit a custom order request for a quote. 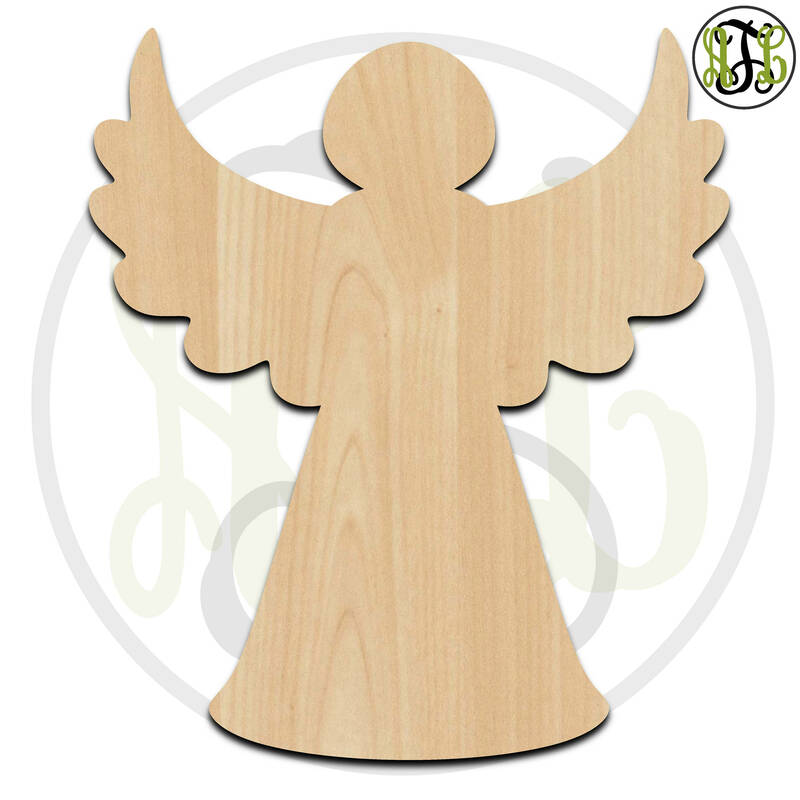 Sizes from 8" to 18" (sometimes larger) can be found by searching the shape name or No. in my shop search.